In dealing with direct-action protests, companies must balance several issues. First, in our country, protesters have a legal right to demonstrate peacefully. A company can act only when protesters turn violent. Second, protesters are mostly interested in media attention. This means that whenever protesters congregate, the target company is under unusual scrutiny. Appearing too aggressive can hurt a company's public image and garner sympathy for the protesters. So in this article we look at dealing with protestors outside of the larger planned protests in the city's. An expression or declaration of objection, disapproval, or dissent, often in opposition to something a person is powerless to prevent or avoid. Freedom of speech and legitimate protest as mentioned is of course the right of every individual in the UK, but at the same time many businesses will understandably be concerened about the disruptive effect that protests and demonstrations can have on their company, and about the politcal dangers that they can face when demonstrators decide to escalate their protest beyond what is legally allowed. Businesses that feel there is a risk to them should therefore plan and know how to react to any potential disruption from protestors. Atlas UK also recognise that secure and beneficial solutions come from understanding the wider challenge of securing the working environment and protecting corporate assets. Our clients look to us to provide the complete security solution to meet their demands, and this has been highlighted with recent developments at a few of our sites where we provide security. 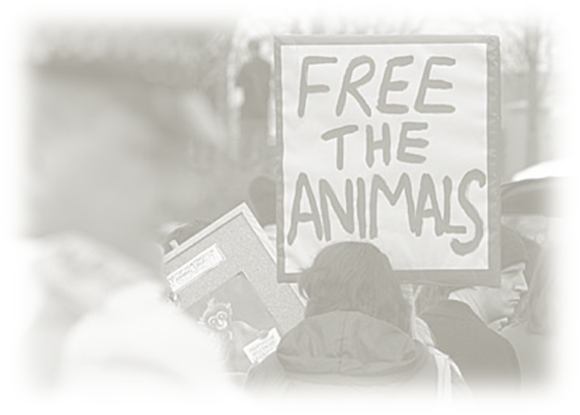 There are many different groups that have formed and are all passionate about protesting for a cause they strongly believe in. 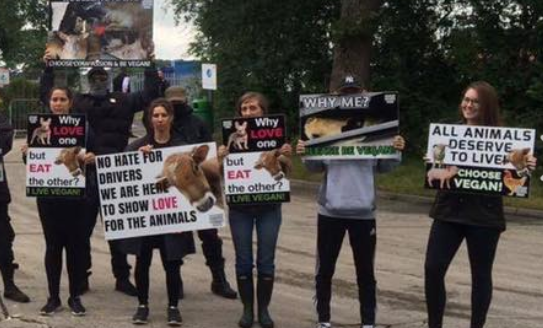 Animal rights protests are on the rise throughout the UK and any business that deals in animals or bye products should review their security procedures and expect at some point to be faced by protestors. The activities of extremist campaigners or malicious hoaxers are designed to damage the reputation of an organisation, intimidate, disrupt, cause economic damage and - in very rare circumstances - cause injury. There are good business reasons for planning to avoid all of these possibilities - or at least minimise their consequences. There are also obligations placed upon everyone (employer and Employee alike) to play their part in protecting themselves and others. In a counter-extremism context, the police and other agencies may offer advice but the responsibility to seek advice and act upon it lies with the owner or occupier of the premises. Collecting intelligence to build up a detailed knowledge of threats to our clients is at the heart of Atlas UK Security’s work. The assessment and investigation process helps us to make decisions about how to respond to these threats and what protective measures to take. Our judgements about the scale of various threats and how we allocate our resources in response are subject to validation by the Management Team and are made visible to the client that is under threat. An appointed person should be nominated within the company/organisation who is responsible for the daily monitoring of animal activist’s social media sites. We at Atlas UK Security have implemented with the Operations Department a set of daily protocols that we will adhere to. These include checking all social media sites and client emails. Should a heightened situation be detected then the respective client will be contacted. The client may also receive an email from the activists stating their intentions (these emails are to be taken seriously). Once received the client must contact their security provider and police to attain as much planning time as possible. Businesses at risk should establish Emergency Plans that include a testing and review process, and which establish liason points with local authorities and the emergency services. At the most basic level, the plan should define who does what, such as PR, Communications and Control. Business organisations should develop business continuity plans so that they are able to continue to trade and maintain their reputation during and immediately after any major disruption from demonstrations or terrorist attacks. Having a business continuity plan will not only help your company to deaal with the emergency, but it will also send out a strong, positive signal to your customers that you are a resilient organisation, and this will give your company a competetive advantage for sure. 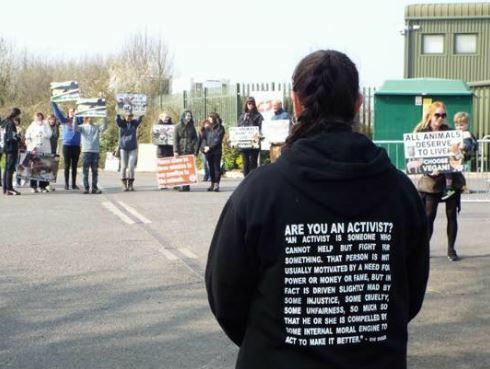 This article is just a small insight into this topic and if you require more information or advice on how to deal with protestors or contingency planning then please contact Atlas UK Security. We have experience in dealing with emergencies and can offer sound advice. We can also assist in compiling procedures on protestors and activists and emergency procedures for major disasters and terrorist incidents.